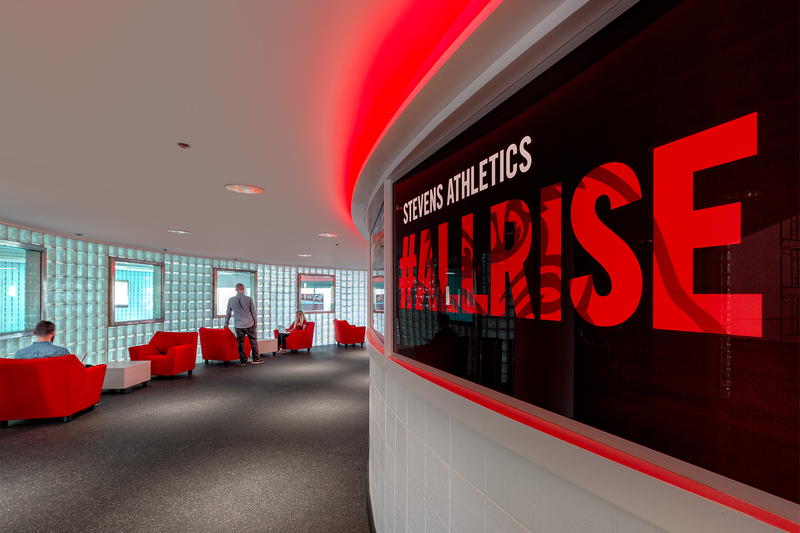 Spagnola and Associates was asked to renovate and brand the Schafer Athletic Center Gymnasium at the Stevens Institute of Technology. The renovation included a new reception desk and an informal seating area which can also accommodate group events. 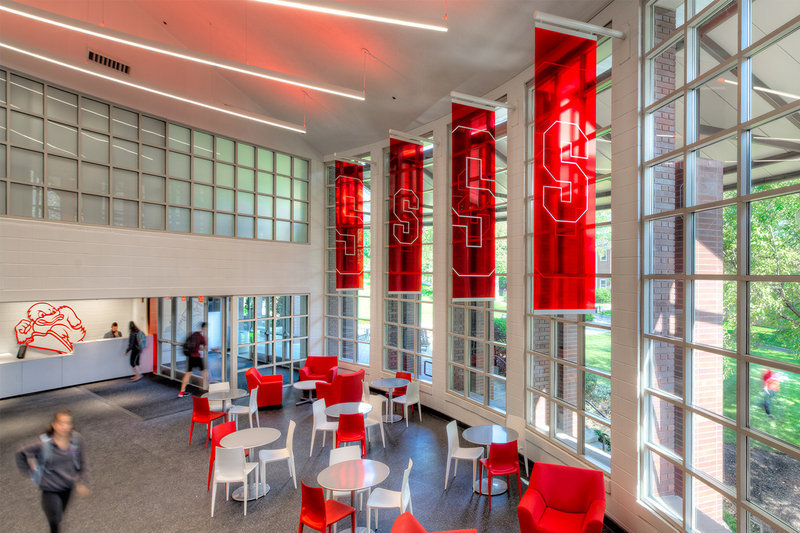 A Hall of Fame honoring Stevens' Athletic achievements was also included in the renovation. Spagnola and Associates reinvigorated the space by painting the walls white, laying new flooring, and adding dynamic lighting. 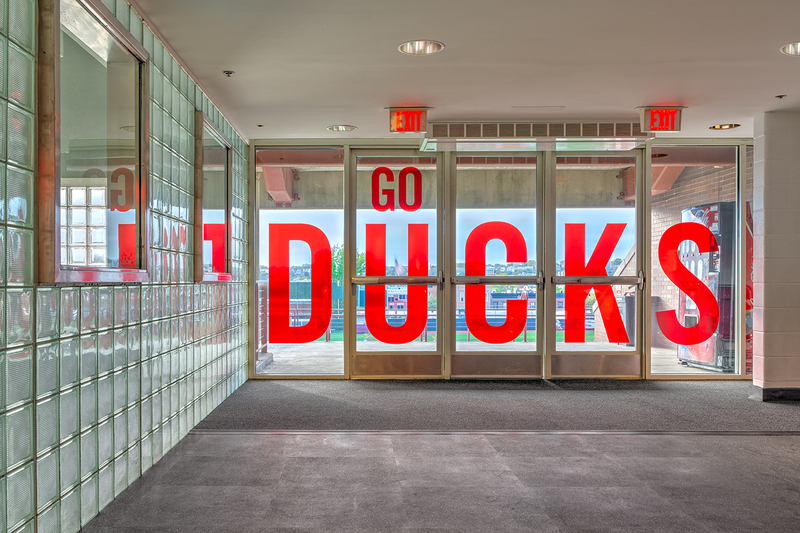 The Stevens' brand and school colors were reinforced in the lobby through bold new graphic elements. 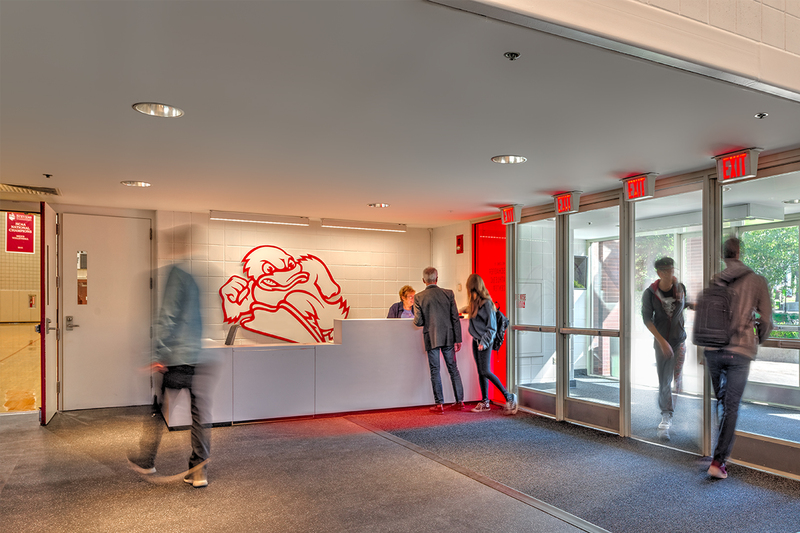 We placed the school mascot "Attila" behind the reception desk to greet visitors and hung banners to reinforce the grand windows in the atrium. Modern, youthful furniture was carefully selected for the lobby. The Athletic Hall of Fame display traced the year history of the Stevens Athletic program's many milestones. 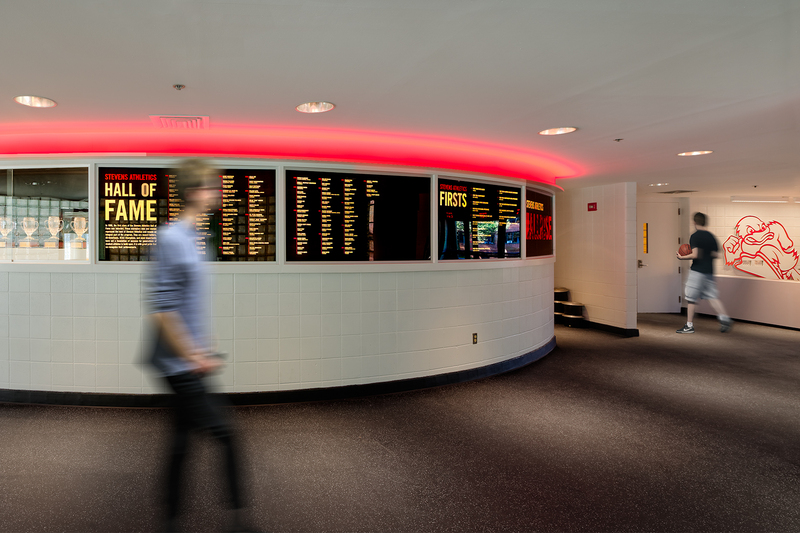 The bold graphic display looks permanent, not temporary, but is easily updated as Stevens continues to win and grow! Spagnola and Associates renovation transformed the Gymnasium lobby into a stimulating, informative, inspiring, and cool space.